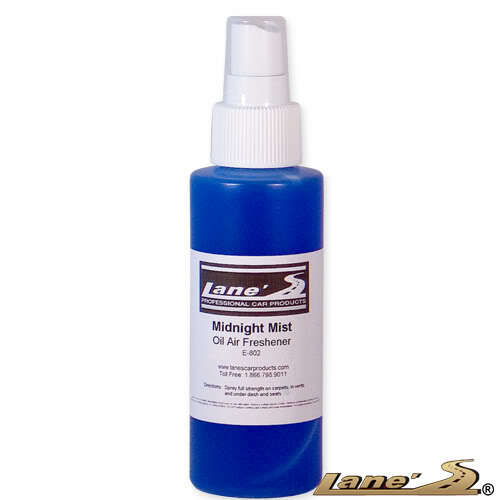 Lane's Midnight Mist Scent - 4 ounces is a pleasant oil base fragrance for your car interior. Midnight Mist continues to be popular amongst auto detailers and dealerships. Midnight Mist will knock out offensive odors and provide a fresh smell to your autos interior. If you like to try different air fresheners this is must have for any cars interior.